Bird Droppings are so acidic that they cause permanent damage to stone and painted metals. Birds create a mess and are known to be disastrous to a newly painted building. A nightmare for builders, architects and home owners where every design for aesthetic appeal needs to be reviewed due to bird droppings. For factories where birds create a havoc leading to direct monetary losses, it is the worst site to have a nest or group of them visiting the site regularly. Bird Spikes provides effective and humane control for pest birds and climbing animals on all types of surfaces. 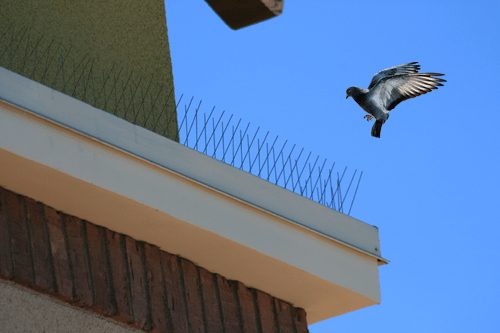 These spikes are commonly used by private homes as well as public buildings because they create an unappealing and unstable environment for birds. 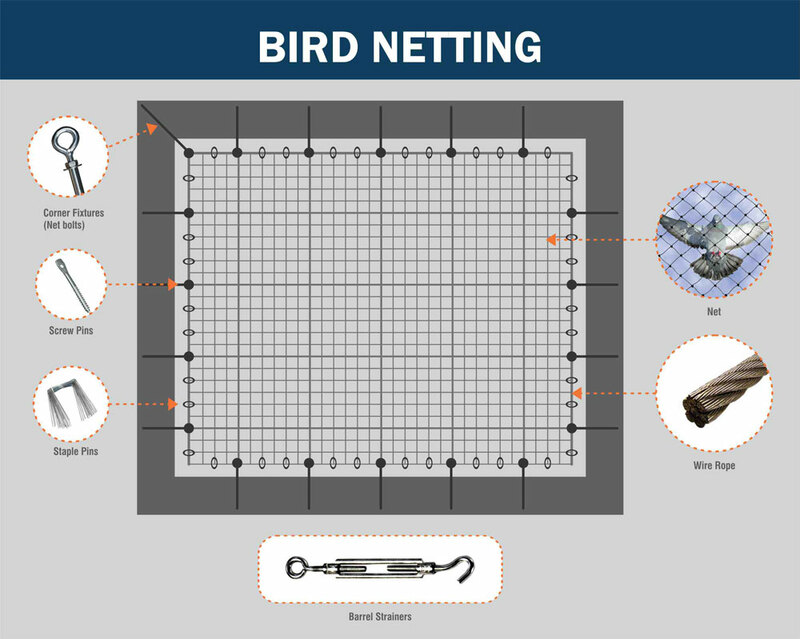 Fast Care India Bird Netting service is a highly effective means of bird control. By excluding pest birds from your crop, you can significantly reduce crop losses. BirdNet can be applied most efficiently in full rolls, but can also be cut into shorter lengths for application by hand, or wrapped onto spools for machine application. 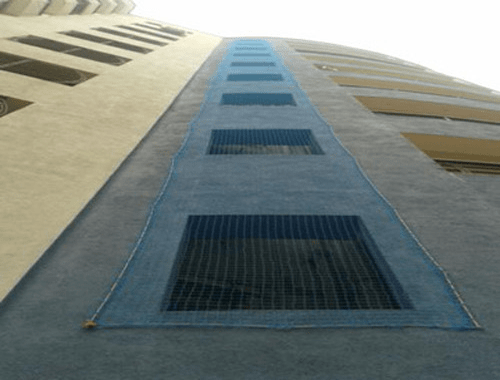 We offer a variety of bird netting options and accessories to suit many applications.We provide the Bird Netting Service in al Cities Of India like Delhi NCR, Jaipur, Ludhiana, Chandigarh, Jaipur, Lucknow, Kanpur, Allahabad, Varanasi, Siliguri,Himachal, Madhya Pradesh, Reeva. The Products have been used successfully in India for last 25 years by over 1000 organizations, and the majority of them have issued us performance certificates. We assure you that our product shall eradicate the entire bird menace at the site where it is applied, whether it be manufacturing shed, storage area, godowns, or powerhouses. Fast care India Bird Net or Anti Bird Net (10 x 30 Mtr. Roll) offered come developed in nylon material finish and have a mesh size of 1mm. made available in transparent colors, these nets co0me in sizes of 30 x 100 feet roll size and support the demands of preventing colonization of most types of birds like starlings, sparrows, and others.